The evolution of artificial intelligence is now at its peak, and people are expecting new changes every day. One of the boons of artificial intelligence is the presence of chatbots that make customer management easy and painless if you have the right tools. Chatbots are giving fierce competition to human customer service executives by becoming smarter and more widely used than ever before. According to Garter, by 2020, about 85 percent of customer interactions would be done without the need for humans. 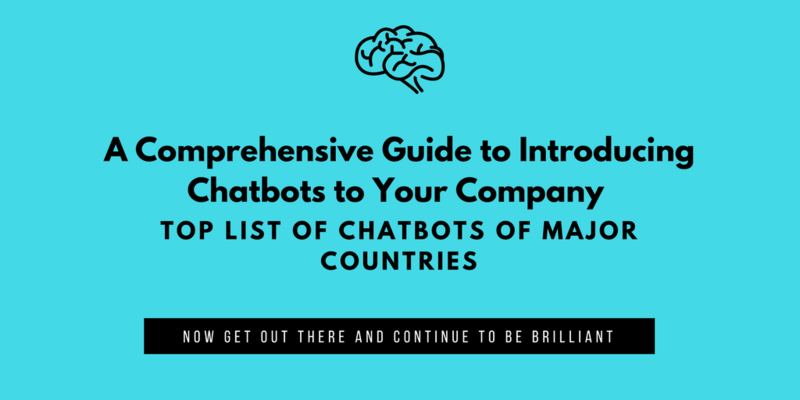 If you are also fascinated by this innovation and want to make it work for your company, then read this comprehensive guide to introducing chatbots to your company that tells you what a chatbot is, what it can do for you and who can provide you with one. According to Oxford dictionaries, “Chatbot is a computer program designed to simulate conversations with human users especially over the internet”. It can also be considered an assistant that communicates with humans via text messages and can integrate with websites, applications or instant messages to help businesses get closer to the customers. No, we are not going to bore you here. We just want you to know that the first conversational bot was written in 1966 in the US. It was implemented by a computer scientist of the Massachusetts Institute of Technology, Joseph Weizenbaum. This bot was named Eliza, but it didn’t prove to be an instant hit because it was too authentic with communication and misled the customers. Why a Business Needs It? A business needs chatbots due to these reasons. Chatbots are more productive and efficient than humans. They can even entertain people when they are getting bored as the conversations are often amusing. Customers who don’t want to be judged by other humans for picking a product prefer to seek the help of chatbots. People are always curious about new technologies and prefer companies that offer a chatbot experience. Chatbots resolve specific queries of customers and helps them feel special which boosts brand loyalty. They are more responsive than humans as they can be functional 24 by 7 rather than just 8 hours put in by human employees. As most customers have some basic FAQs like when the business will open, when a particular product will be launched or whether X product is available, Chatbots takes care of the task of offering the same information again and again without feeling frustrated (which a human employee might). How Can a Chatbot Help Customers? Chatbots can help the customers find answers to some basic questions like business hours, product availability, discount details, etc. As the name suggests these bots help customers to make a purchase decision quickly by asking simple questions like type, color, size or design of the product they would like to buy along with the budget range or delivery address details. When you buy a new product that you have never used before like new accounting software, and you need help in deciphering it, these types of bots would serve as trainers for you and your customers/ employees by answering queries by using media like videos, images or links. These bots do post-purchase tasks like collecting feedback, resolving return issues, registering complaints, and doing everything possible to keep the customer happy. How Can Chatbots Help Businesses? Apart from customer management, companies are also using bots to collect customer data, help organize meetings and other such tedious and time-consuming tasks. Where to Buy a Chatbot? Chatbots have gained popularity in every part of the world. Here is a list of a few companies by regions that provide excellent options. Should I Build a Chatbot? How to Make Your Employees/Customers Comfortable with Chatbots? To make your employees/customers comfortable with chatbots, make sure that you tell them of this change in advance and clear their doubts. You can also offer free training or create tutorial videos on how to use a chatbot. If a customer or employee is showing resistance, you can sit him or her down and talk through the issues. Remember that chatbots will garner results only when they are widely accepted, and you as a business owner need to lead this change. Once done, this change will be worth it as it will save money and still deliver a customer with an excellent experience! Data security and storage has been a topic of discussion since long and there is a constant search for latest technology that eases the process for us. While hard drives have been around for a while companies are now daring to innovate in technologies to make their products more efficient. For now, we can look forward to hard drives enabling the user to store 20 TB of data on a single hard drive which is a boon to many. This means the end of the constant struggle with HDD handling in big numbers. Here is how big companies are looking at delivering on their word. A new inclusion of glass substrates has been suggested instead of aluminum. Today only laptop drives use glass substrates and haven’t yet been used for external HDDs. However, glass substrates have various advantages over aluminum. To start with glass is more rigid than aluminum which means the platters can be made thinner and lighter. They are smoother and flatter than aluminum allowing them to be packed tightly. They expand less under heat which means they can withstand more thermal pressure. The amount of energy used to spin the glass platter would be very less due to its lighter weight than an aluminum platter.Companies like Hoya have already begun prototyping by achieving platter thickness of 0.5mm and 0.381mm which is less compared to the current ones used which are 0.635mm. While platters require space between each other and a gap between the next platter, this innovation reduces the space taken up by the previous platter by around 40%. This means more space for platters, therefore, increasing platters in the same storage capacity. HAMR (Heat Assisted Magnetic Recording) is to be used in glass substrates to enable better writing on the hard drive with a laser. Seagate, one of the top companies is already planning to launch HAMR HDDs in 2018 and come up with 20TB hard drives by 2020. Even though with the increased demand in cloud storage, security remains a major concern which is well taken care of in external drives. Now the demand has decreased and the storage capacities of HDDs will increase the appeal of these drives. Businesses will therefore not shy away from investing in glass substrates even if they are higher in price. No matter how much SSDs are used, they cannot reach the level of 100 or 500TB capacities something HDDs can. Also, the need for storing data doesn’t seem to be going down anytime soon as data increases every second. Which is why Hard drives have a long way to go with frequent changes to keep up with the need of the time. WinInfoSoft Pvt Ltd is one of the leading digital marketing agencies with a history of happy and successful impact stories for years. 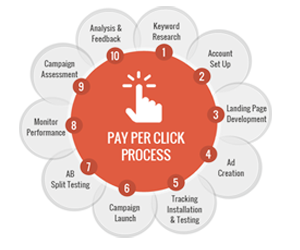 We are experts in SEO, PPC, website, app development, content marketing and more. Contact us today to get a quote. What do you look for while you hire a good Website development company? Usually, it is the deadline by which they can give you the website. A lot of companies are in a hurry to build their websites because they believe it gives them a digital presence immediately. While that is true, it is also a fact that you will not receive more than 5 visitors on the website on the first 5 days. Not only that, if the job is done hastily, forget customers revisiting the website ever again. This is the reason why companies invest months at a stretch maybe even years to get the website just right. Here are some of the traits of a good website development company one should keep in mind before hiring. Get to know the values and upholding of the company from references. A good web development company is professional. They set decent deadlines that are a result of the middle ground found between the client and the agency. See whether the agency meets their deadlines effectively almost every time. This shows how committed they are to their clients and company. Good agencies have a particular process they go through before starting to work on the website. 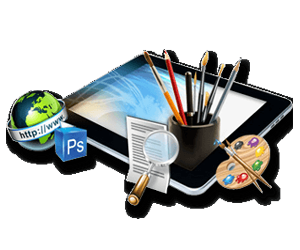 They have sets of meetings with the clients where they understand the exact need of the website. Does it need to be creative, interactive or informative? Accordingly, the agency decides to create the website accommodating the required items in place. Agencies that have variety in their portfolio are the ones who can give you what you want. The variety in itself suggests that they mold their work objectives in the direction of what the client needs and can have different kinds of things that can make your website good. 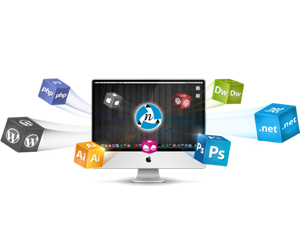 Good web development services are offered from companies with strong references and blogs. References give you an idea of what you must expect from the agency and blogs give an insight into the knowledge and expertise the agency has with respect to the field they are working in. Look out for an agency that offers maintenance services in case some is needed and also a content management system that is easy to handle. Note that the agencies should be the ones that make you independent after the website is built and not dependent on them for every little thing. 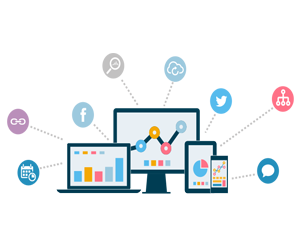 Hiring the best website development company gives you better results in terms of conversions, visitors, and digital presence. 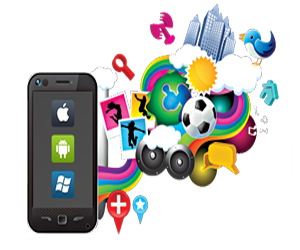 A brand is also judged by its website which is effectively delivered at your doorstep by WinInfoSoft Pvt. 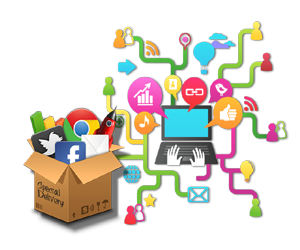 Ltd. We have years of experience in digital marketing services with a stronghold in website development.